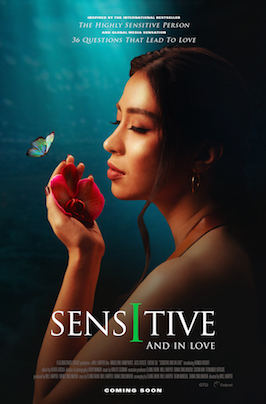 FAQ: When I look for studies about highly sensitive people, and especially about highly sensitive children, I hardly see any. In the scientific world, the trait is called “sensory-processing sensitivity” (SPS). If you use Google Scholar to search for this term, with quotes around it, you will see several articles there as you scroll down through other uses of the term in science. If you look at the fine print, you will see how many have cited each article and can look at those, too. From the beginning, we who studied SPS were mostly doing research with adults, although there is now research on older children using a questionnaire just for them. Findings about SPS apply to children, of course, and magnetic resonance imaging studies of the brain or self-report questionnaires cannot be done with small children, so there is much to learn about children from the studies of adults. 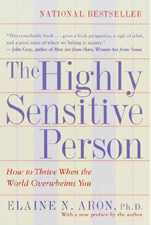 The Highly Sensitive Child was based on the research on adults, clinical interviews, and the many others who have studied temperament in children, plus the input of an expert in working with these children. I did use solid scientific methods to create the questionnaire in the book, but I did not try to publish it because questionnaires of parents are generally thought to lack validity, but it was necessary and useful in this case. A growing number of researchers have specialized entirely in studying sensitive children, but because we began our work independently, we used different terms for it (Jay Belsky, Differential Susceptibility; Michael Pluess, who publishes with Jay, also uses the term Vantage Sensitivity; Thomas Boyce and Bruce Ellis, Biological Sensitivity to Context, all of us also using environmental sensitivity, etc., see below. If you type these into Google Scholar, you will find articles about this research.). All still agree that it is a temperament trait, meaning it is “constitutionally” or “biologically” based. (In other words, it is mostly genetics, plus some prenatal or perinatal environment, so they usually avoid the term innate or inherited.) Temperament is estimated to account for about 40% of personality. And actual personality—which is temperament plus environment—determines the rest. So this is a temperament trait, and found in a minority, usually about 20%, due to negative frequency dependence (see Max Wolf, Leibniz-Institute, who has published extensively on this), and about environmental sensitivity. Today, I think all of us agree that we are studying the same trait from different angles. The name depends on the focus of the research. It is found in both humans and animals. But those who study animals tend to call it responsivity, or old fashioned human terms like “timid” or “shy” or even “up tight” (rhesus monkeys). When you don’t know why a fish, bird, or even a primate is doing something, you make assumptions! I was lucky because I happened to study the trait in adults (as did Jan Streulau in Europe, who had classifications of temperament that included “Sensory Sensitivity”). But even with that, I assumed from their behaviors that I was studying introversion (Hans Eysenck’s theory), but during my interviews I began to ask more and learned 30% were extraverts and some of the introversion was to avoid overstimulation. The point is, I could ask them about what was going on in their heads through interviews and questionnaires (1000s of the latter). I could even use functional magnetic resonance imaging to see what was going on in their brains (children do not hold still enough for brain scans). From all that I began to see the underlying dynamics—the depth of processing, empathy, and awareness of subtleties—and I felt compelled to give it a new name. Now we have more new names, since 1996, because more are studying it and understand the trait better: “differential susceptibility” to both positive and negative environments (Belsky and Pluess),” “psychobiological reactivity (Boyce),” “biological sensitivity to context” (Boyce and Ellis, which holds that some but not all sensitivity arises, due to a plasticity gene, in the first weeks of life depending on the stressfulness of the environment), and “vantage sensitivity” (Pluess). “Sensitivity” seems to provide an umbrella that captures well the underlying innate survival strategy behind the trait, a tendency found in the immune system as well as the central nervous system, and not only in humans but in over 100 animal species, from fruit flies and fish to birds and dogs. This strategy is to process information thoroughly before responding. Finally, there are names for genes that are now being used as equivalents to all the other terms above because of the enormous similarities between those with the trait and those having certain genetic variations, in particular, the “short-short” but not “short-long” or “long-long,” of the serotonin transporter gene or 5-HTTLPR. There will definitely be other genes that determine the trait, but this is real progress away from questionnaires. Question: I looked at those studies, and it seems as though some discussed problems HSPs have, but I have not seen you write about those. If you see some studies finding HSPs are more anxious, depressed, stressed at work, etc., that I have not written much about, this is generally because these studies have not taken into account a person’s history, so we don’t know what is due to the trait and what to a person’s past. That is important because now we know from research that HSPs are not more anxious and depressed than others if they had a good childhood—perhaps less so—but will have more of these problems than others if they had a poor childhood. That is also probably true if they were working or living in a stressful environment when they were in the study. So the studies not taking these things into account are difficult to interpret and possibly not very useful. Also, the HSP Scale is twenty years old and was written before we knew so much about the trait. The test tends to over use negative terminology, mostly about being overstimulated, while poorly measuring other aspects, such as depth of processing. To solve this, we advise researchers to “control” for a negative response-set that might be typical of people with problems unrelated to being highly sensitive by measuring those problems independently of the questionnaire and “partially out” those scores statistically. If you are curious about that, you can read more about it here.